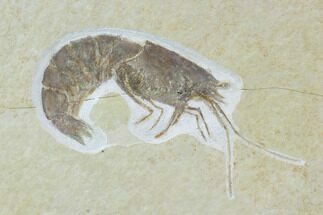 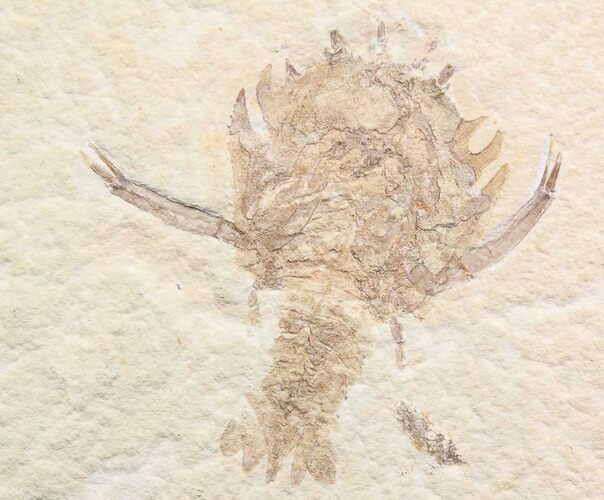 This is a 3.1" long, detailed specimen of Eryon arctiformis an extinct type of decapod crustacean from the Solnhofen Limestone of Germany. 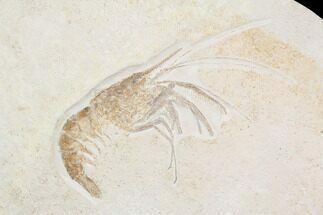 Eryon was thought to have fed on particulate matter on the sea floor, probably having a similar lifestyle to a lobster. 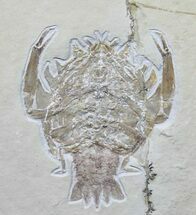 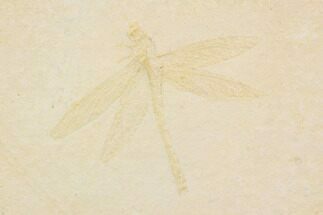 It's nicely preserved specimen which is laid out nicely with it's tail prone and both claws visible. 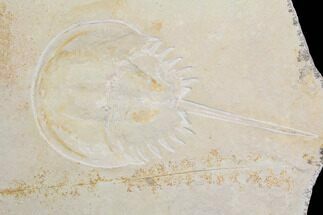 It's nicely centered on a thick 10x7" slab of limestone from the quarries near Eichstatt, Germany.